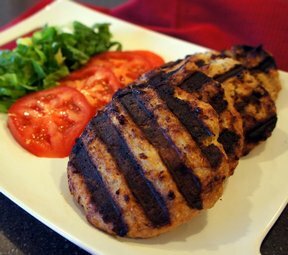 Fast and easy, this adds a spicy twist to the standard turkey burger. Combine turkey, 1 cup of French fried onions, egg, bread crumbs, teriyaki sauce, vegetable oil, cayenne pepper and ginger in a large bowl. Shape into 4 patties. 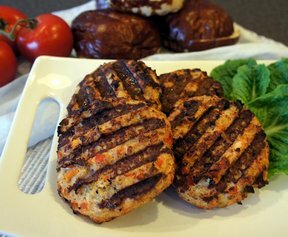 Place patties on a pre-heated grill and cook over medium heat for about 10 minutes or until meat is no longer pink in the center, flipping once. 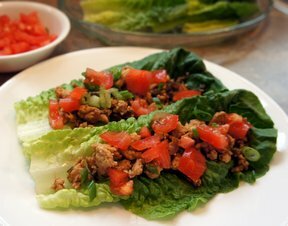 Serve on lightly toasted buns, topped with lettuce, tomato and remaining French fried onions. Burgers should be juicy, so no condiments are necessary, but you can dress it up to suit your tastes. "Loved the Asian flair to these burgers and they did stay juicy! I used ground chicken breast, too, otherwise left everything the same. Delicious! Kids topped it with provolone cheese."